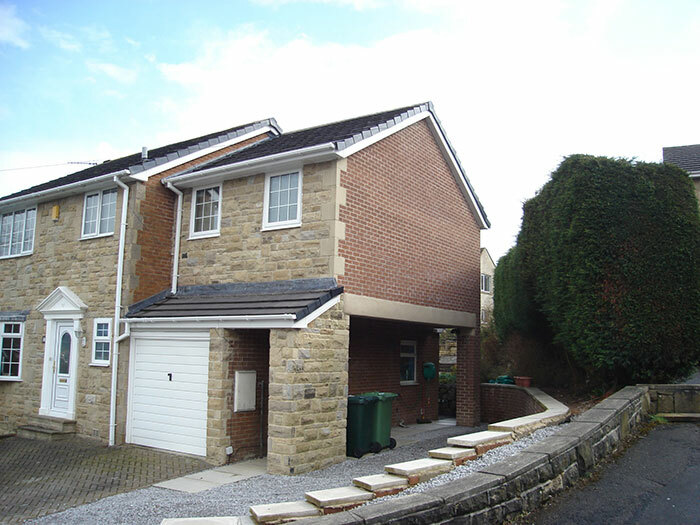 Cobbydale Construction has earned a high reputation around the area for the standards of our work. Our Team of professionals are the best in the business and will always deliver top results. Whether you want your kitchen replaced, want to double the amount of living space you have, or more, then talk to us about your plans. We deliver, day in day out. 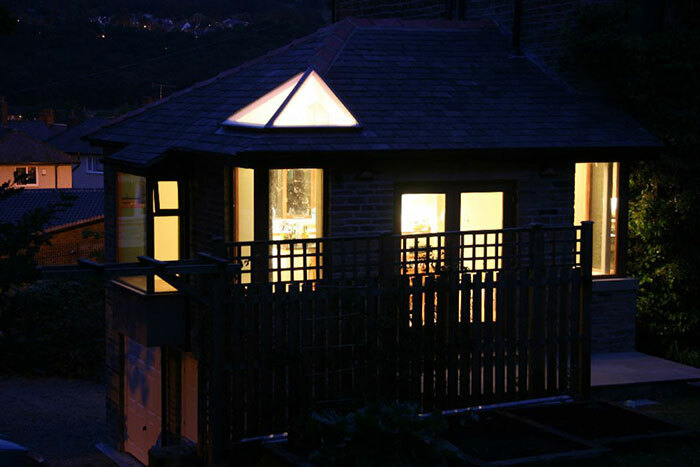 This Victorian property originally constructed at the turn of the century was faced with the problem of a large family residence that occupied a small kitchen and dining area away from the main area of the house making everyday life that much more difficult. 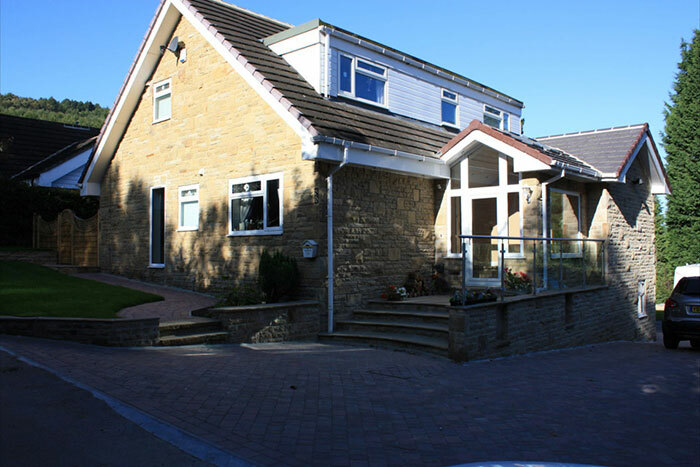 The objective of this build was therefore to provide additional space for the inclusion of a new large kitchen/dining area and which because this required for the new room to be located and accessed from the first floor the benefit was free space below to incorporate further the construction of a double garage. 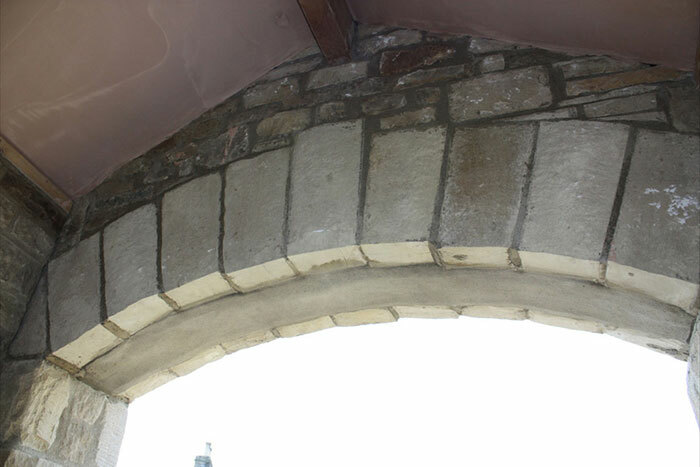 Initially, excavation work featured highly within the preparations to start the build and which saw a large proportion of the structure constructed below ground. 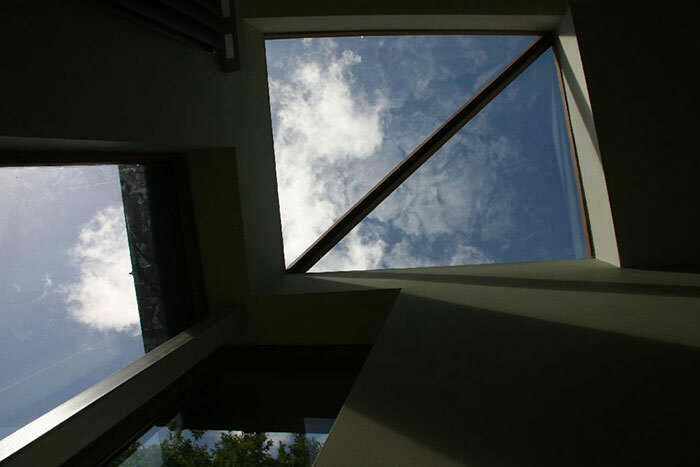 Moving upwards it was the clients desire to provide as much light into the building as possible and which further would allow them of panoramic views of their wooded grounds. 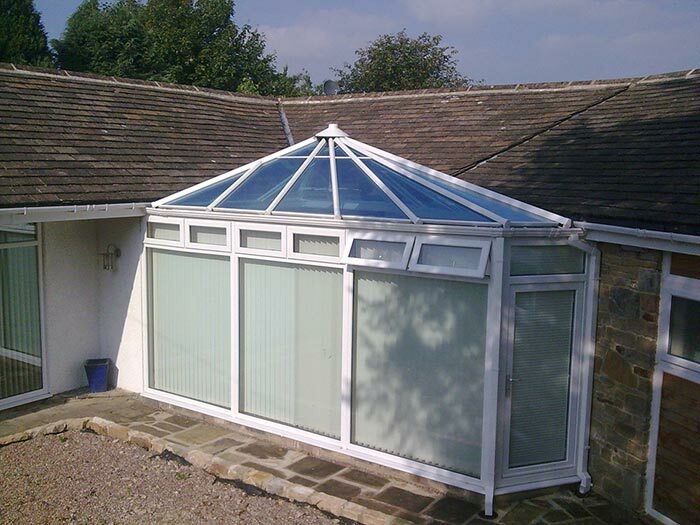 In expansion of this requirement and which we here at Cobbydale are very proud id the design and manufacture of a roof light which was installed within the main structural limb of the roof and a design of roof window which never before had been accomplished. 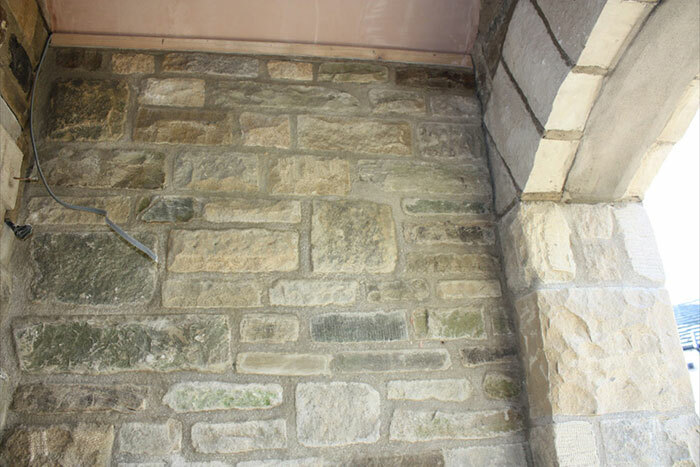 At completion the new extended portion of building blended sympathetically moulded back into the historical building with every detail considered from the iron faced stonework, hardwood timber windows and pointing that matched that of the existing property perfectly. 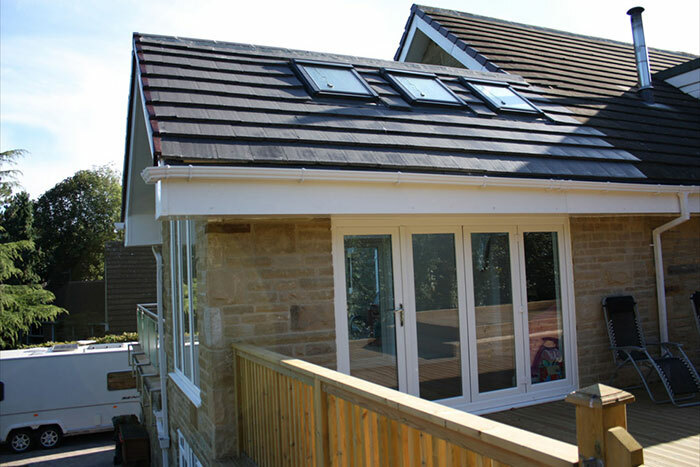 The completion of the project dramatically increased the footprint of the bungalow to provide a separate entrance porch, extended kitchen with store room below and a large extended lounge area complete with vaulted ceilings complimented with 6 Velux roof windows and which finally incorporated below again constructed within the hill side a new utility room and adjoining shower room/W.C. 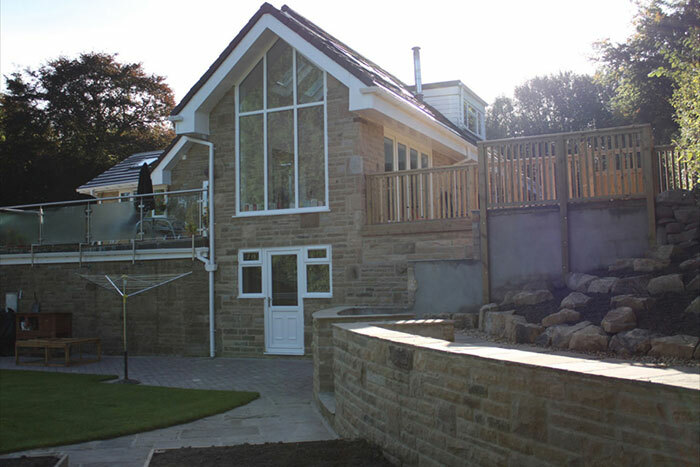 As can be seen from the photos this project certainly was a grand design, a show piece drafted by one of our main architects’ Provizion First Architecture based in Baildon. 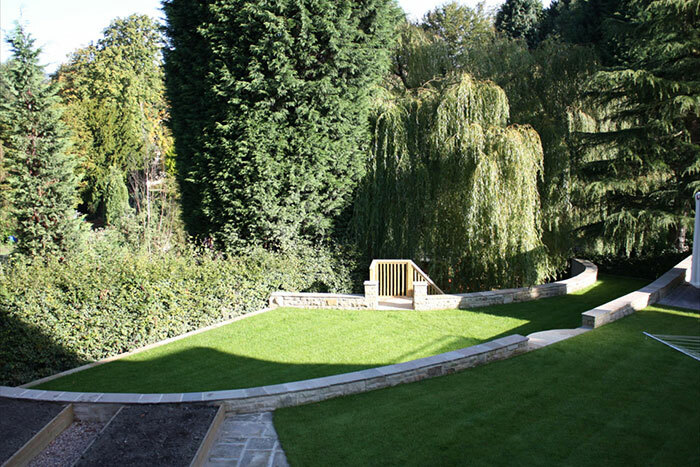 This project had a duration of 14 months in which time following the completion of the extensions we then landscaped the large expanse of grounds to provide spacious tiered gardens, block paved drive, stone staircases and large decked area to an enclosed private garden to the rear of the property. 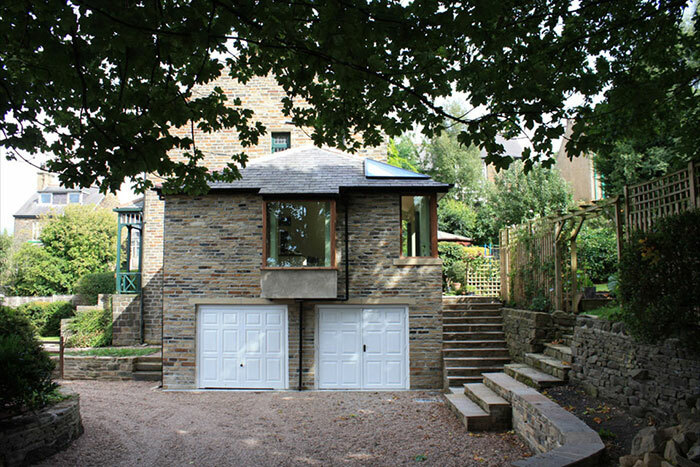 This impressive little structure was constructed on the strict proviso that it should match as closely as possible that of the existing building so that it appeared that it had always been there. 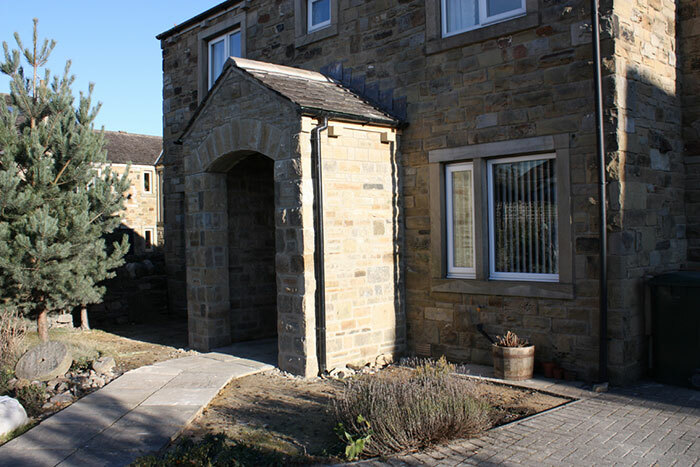 As can be seen this was achieved with great success and which further boasts appeal due to the internal structure of the porch also being constructed from natural stone too, which complete with structural archway matched the design of the existing property perfectly. 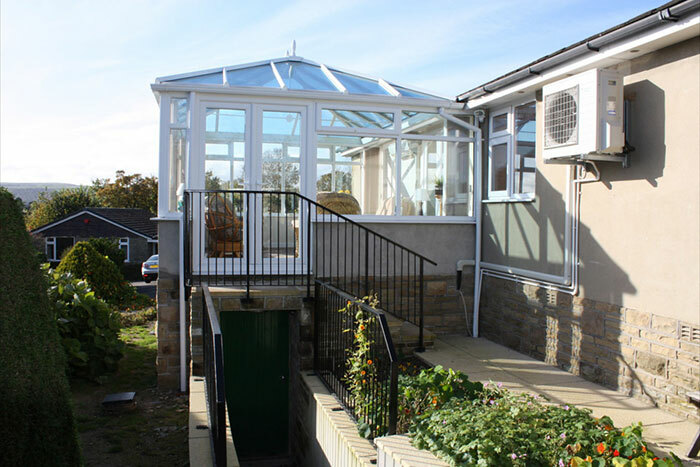 In addition this project further met the objectives of our clients has its initial inclusion was to provide a shelter from prevailing weather allowing access into the main house; this it achieved with much delight to our customer. 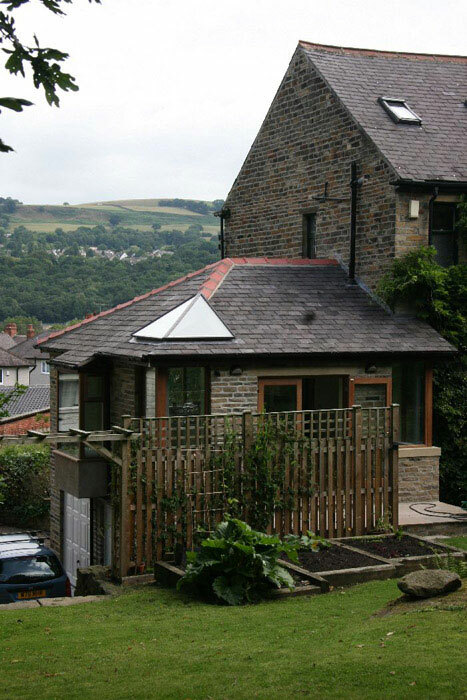 This interesting extension was constructed to provide an additional bedroom complete with en-suit facilities and which was designed to be built on ‘stilts’ so that it would span over the occupied ground floor room below. 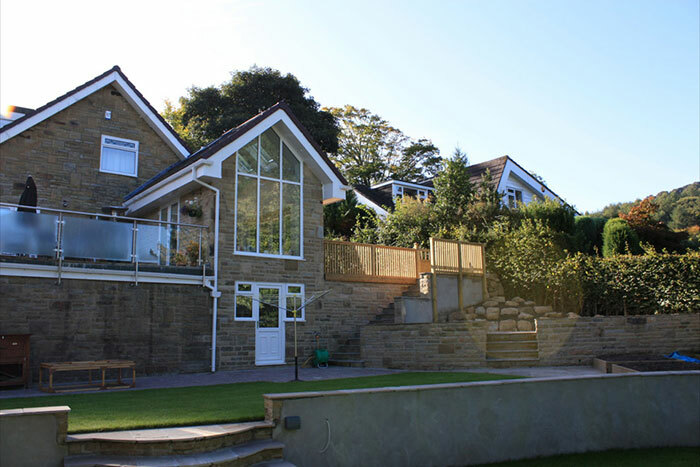 The finished article was a great success with little interference to the existing rooms of the house and which at completion provided our client with a building that looked as though it had been constructed originally alongside the existing house. 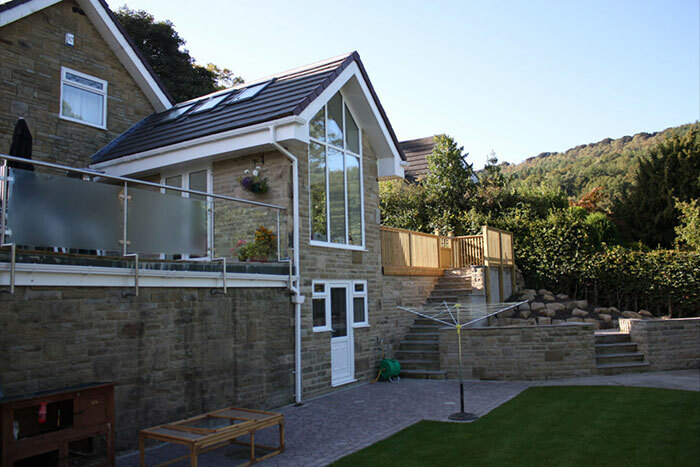 Having over the years been involved with lots of buildings that required construction below ground it was quite an easy decision to take on this project and which it was apparent that other builders had been avoiding due to its complexity. 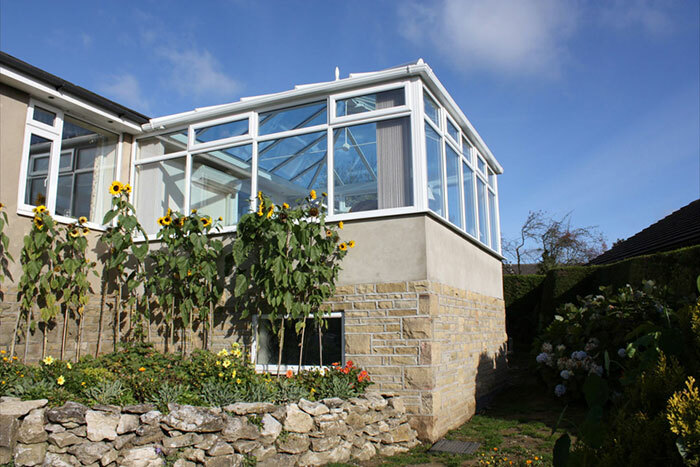 Again constructed along with our objectives of producing a building that matches in seamlessly with existing it can be seen from the photos that this produced a very impressive structure. Providing a store room below which was tanked to ensure a dry room this project certainly did test our skills and endeavour has the surrounding conditions were unfavourable to say the least which seemed to contain the direct route for every land drain in the area! 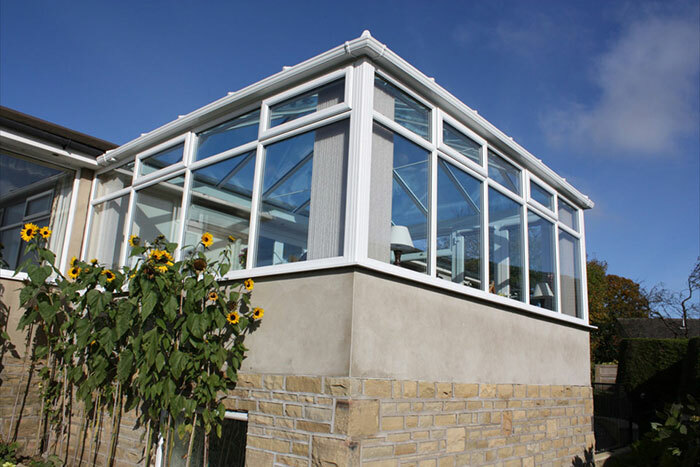 Luckily we are well versed in such circumstances and the project ended a real success achieving the objectives of our clients and providing a building that both technically and cosmetically found the admiration of all around. 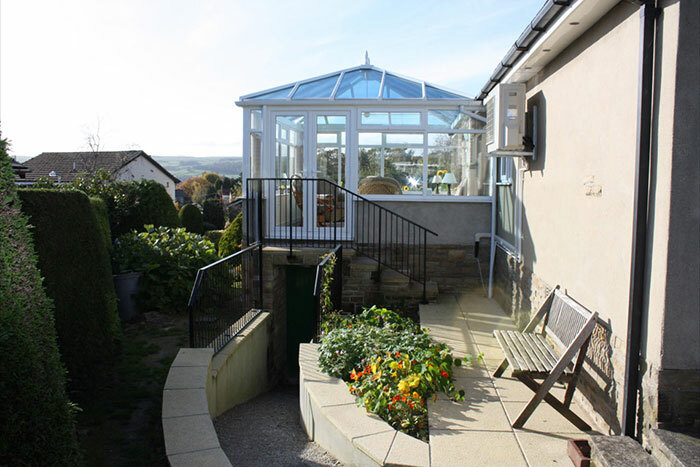 This neat little conservatory was constructed within the right angle of a bungalow which due to its low roofline created the problem with how to design a roof that would fit the conservatory following the installation of the frames. 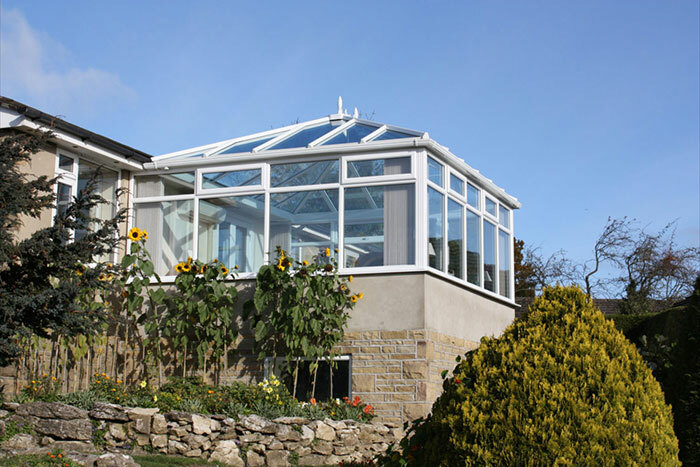 This was achieved with great visual effect after the roof was constructed to incorporate a spire to the apex and in combination with blue active glass the finished result was extremely satisfying.